I’ve edited a bit of it to run here. I hope you enjoy! Xingjiang: Why did you decide to publish the iBook of Invisible City since the book had already been very successful in the past? 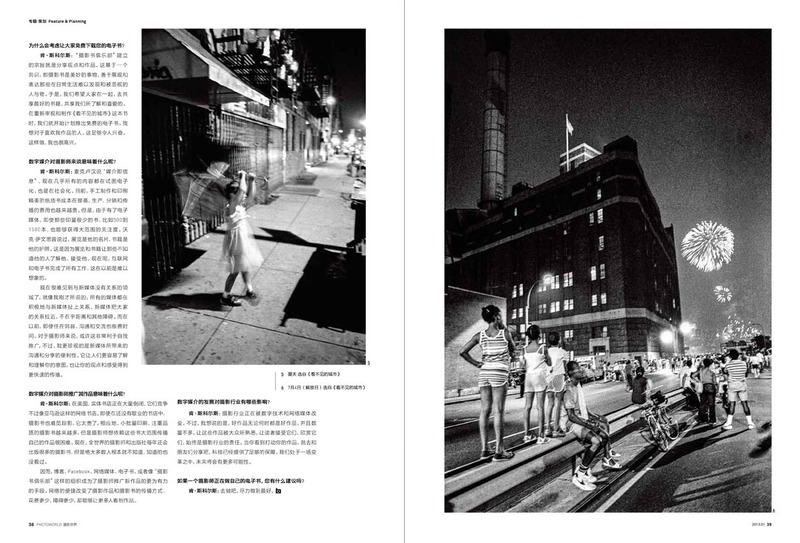 Ken Schles: My book, Invisible City, was very successful in the pre-Internet age. Twenty-five years ago, in 1988, it was a New York Times notable book of the year and won an award for book design from the American Institute of Graphic Arts. In 1992 it was exhibited at the Museum of Modern Art, in New York as the only representative for the printed photographic book in a large exhibition showing the uses of photography across a spectrum of the arts. The book sold out quickly. It had a cult following. But the world of photobook enthusiasts was small at the time—non-existent really compared to what it is today. It was hard for people outside my small community to experience the book. People began to be very protective of it—they’d store it in a special way. Keep it under lock and key. But as time moved on it seemed that fewer and fewer people knew of the project. And with prices on the resale market hitting over $1000US at times (and now higher) I was reluctant to lend copies. No longer readily available, there was no way for people to get hold of it or to see it. And that bothered me. Something of significance gets lost having a photobook in such a rarified place. You make a photobook because you believe you have something of value to say or have something vital to share. In the last few years there’s been a growing interest in photographic books including a new appraisal of great photographic books of the past. I felt this was the time to get the word out about Invisible City, if people were to appreciate it again. If I couldn’t accomplish that, I knew that the project would be lost to a new generation. And possibly lost for good. In December of 2010, I heard about the project #Phonar. Matt Johnston and Jonathan Worth, out of Coventry University, in England, had been exploring great narrative photobooks. They were giving open classes over the Internet with tens of thousands of participants (#phonar). At one point they asked a small group of critics, historians, writers and photographers to name a photo book that was important to them. Matt and Jonathan would contact the author of the chosen photo book, and then, in turn, ask them to pick a photobook that they liked, and so on, creating a virtual discussion describing a chain of influence. “…we contacted some of the worlds most inspirational photographic practitioners, thinkers, authors and publishers and asked them for a book nomination that is notable/inspiring/seminal/provocative in it’s narrative structure/approach or perhaps in its ‘discussion’ of narrative…” The results yielded 31 contributors, 60 nominations on 54 different books. My book, Invisible City, was one of the few that came up more than once. I thought the #phonar project was an innovative use of the web to create a crowd-sourced “best of” list. Its success, and the discourse it enabled, led Matt to create the Photobook Club in March of 2011 (www.photobookclub.org). The Photobook Club conducted open, crowd sourced discussions on classic photographic books. Matt and I started emailing back and forth about the Photobook Club project and he thought it would be interesting to include my voice in a discussion about Invisible City. X: In your opinion, is there a difference between an eBook and paper edition for a photo book? KS: Yes, very much so. Indeed, I have to profess my love for traditional photography books. The haptic qualities of a well-conceived and beautifully constructed book are irreplaceable. A great book is a private, tactile and existentially transformative experience. It allows for a direct connection between a creator and a consumer of that work. It allows space for reflection and engagement. I think digital media can provide some of those qualities, but not all. An eBook seduces differently and possesses other qualities. Photos look beautifully luminous on a screen, but because the image “disappears” (when the next one “appears”) there is a different kind of engagement physically, psychologically and intellectually. The ephemeral quality of the image on the digital screen has definite downsides but can also be quite magical. Digital information is no longer tethered to a specific object in a specific location. I can read multiple books on the same reader, or switch between an e-reader and a computer, picking up on an e-Book where I left off on different machines. It may be convenient to do so, but the larger effect is that content becomes de-linked to any specific fetishized object. Afterwards, all one has is a memory of the experience. This can be somewhat dislocating: there is no book to hold or leaf through, no reminder of the book’s presence sitting on the table or shelf. Because there are no physical material limitations (outside of the capabilities of the technology delivering the content), with the digital form it is easy to create multiple reference points for a project. I really like that with an e-photobook one can create content to explore background on a project, show a video, use sound and include it along with the project. With an e-book, one can inform a work, not just show work. The digital books I enjoy best are multivalent, and allow more than one way to become engaged. So, digital is a different beast than books. There is a range of creative possibilities not found in traditional books combined with a particular immateriality. It’s been interesting to see how fetishized photography books have become over the last few years. I think this is a direct reaction to digital technology. Not having an object quality, digital media has emphasized the material qualities of the book as idea embedded in a form and contained in an object. What digital media tells us is that books as embedded experience are indeed something to value. Right now, most digital photographic books reference pre-existing traditional photography books. I believe this is a legacy of language, convention and expediency more than anything. We label and categorize digital media to understand it from traditional perspectives. This also allows us to sell and promote the content through pre-existing and familiar marketing venues. But digital photography books need not resemble or mimic their analog counterparts. I do believe digital photobook vs. traditional photobook debates miss an essential point however. In a Marshall McLuhan sense, “the medium is the message,” and everything that is mediated is now in relation to how it integrates into a digital ecology that is socially exchanged, socially engaged and socially discussed. All traditional media is transformed by its relationship to digital technology. Beautifully manufactured, traditionally printed photographic books are rare physical things, increasingly expensive to produce, ship and purchase. But because of digital technology and digital media, the impact and influence of a short run book of, say, 15 to 1500 copies, can have a very wide impact. Walker Evans used to say that his exhibitions were his calling cards, that his books were his passports. They would establish his work in the minds of people he did not know and would never meet. The Internet, digital books, digital media, can do that for all of us now and on a scale unimaginable in the past. X: Who proposed the iBook for free download? And what it means for you and your fans? KS: The Photobook Club was founded on principals of sharing ideas and of sharing work. Its whole premise is that photography books are wonderful things, multitudinous in their expression: sometimes hard to find and sometimes quite rare. So they say let’s have a meet-up. Let’s get everyone together and share our favorite books and share what we know and what we love. Who wants to argue with that? In making Ken Schles: Invisible City, A Digital Resource available, we all wanted to share this body of work and increase its presence and its accessibility. We discussed charging a nominal fee for the iBook, but dismissed the idea immediately. What does it means to my fans? I think they are thrilled, and many have let me know. Me? I’m happy that I can share it with them. X: Could you tell us something about the role played by new media in photographer’s self-promotion, such as blog, website or iPad? KS: I think that it is impossible to exist in the public realm without engaging some form of new media, be it directly or indirectly through proxies. As I said above, all media exists in relation with digital media now. Think of it as an ecosystem. The most important aspect of new media is how it brings people together across all barriers regardless of distance. Years ago it was a big thing to be in contact even with people across one’s own country. Now, I communicate with people from all over the world on a daily basis. Self-promotion? Perhaps. I think it’s more about communication, community and the sharing of ideas. New media can take many forms and each form has positive and negative aspects related to time, immediacy, the amount of effort it takes to keep up and, most importantly, how that particular mode best operates to get your ideas across. But I believe you should only engage it as much as your comfort level allows. I try to balance it with projects and ideas that I’m currently engaged in. It’s exciting when something that you’ve gotten excited about, and spent a great deal of time and energy working on, gets amplified and is reflected in the world outside. People’s excitement feeds on itself. That can be a wonderful thing. This is the promise that fuels new media. It is a useful tool. X: What’s your opinion on using new media like App to watch photos? And what’s your opinion on the impact of new media for photography books and photography industry? 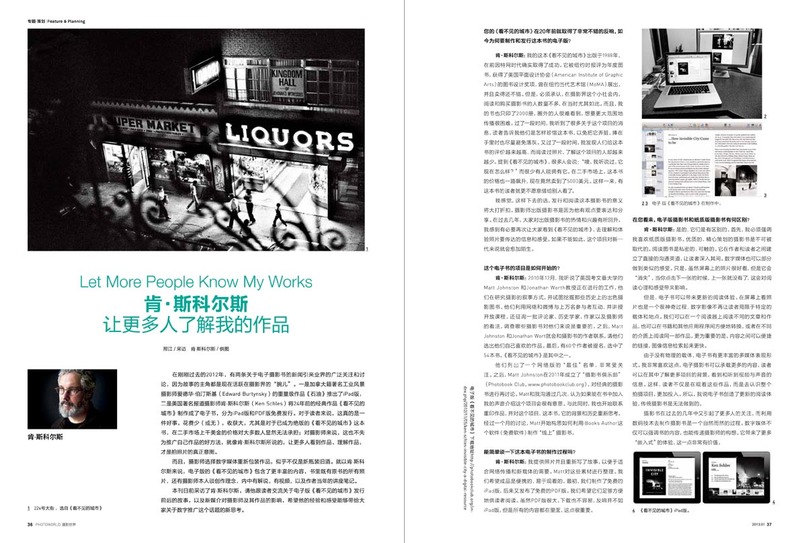 KS: New media has been crucial to the dissemination of photography books. Here in the United States traditional bookstores have been closing, not being able to compete with the juggernaut of the online retailer Amazon. With fewer bookstores it’s harder to find places where you can easily preview (expensive) photography books, so word of mouth, online media, blogs, book trailers (book trailers are like movie trailers, but for books), websites, exhibitions, reviews, iBooks, Facebook groups, Photobook Clubs and photobook meet-ups are all crucial to exposing new audiences to new work. The one ray of light in a dwindling analog book market, one that has been a profitable source of revenue for bricks and mortar bookstores, are nicely produced books that are appreciated as objects unto themselves. Because of this there is a new breed of smaller “boutique” stores opening in many cities, bookstores that specialize in rare photography books and new photography books with small print runs. All this interest—the ease of online communication, the ability to distribute books outside of traditional book distribution chains, the proliferation of new media—all combined with lower technological barriers and lower cost barriers for making books create new opportunities for more people to get involved with photographic books. It has set off an explosion of new photobook-makers, new photobook publishers and specialized photobook events around the world where people talk about making photography books, share photographic books and sell photographic books. There are so many new photography books published annually now that it is outright impossible to see them all. This is a radical change from years ago when only a few photographic books were published in any given year by the large publishing concerns. And people interested in exploring new possibilities for books are also exploring digital content. X: Are there any other new technologies, new concepts, new equipment have impact your photography in recent years? KS: The whole photographic industry has been transformed by changes in technology and the changes in the distribution of media. But one thing I have to say, while the barriers to creating and disseminating work have been lowered, great work is still a rare and beautiful thing. Seek it out, admire it and nurture it. When you see something that moves you, engage it and share it with your friends. Talk about it. Try to better understand it. Technology enables, it does not dictate, nor does it make something inherently worthwhile. Seek out meaning and substance. We are in a time of transition and the things we focus our attentions on will shape our future and lead us to new possibilities. X: Do you have any plans for using new media to re-examine your past work and to do your new work? 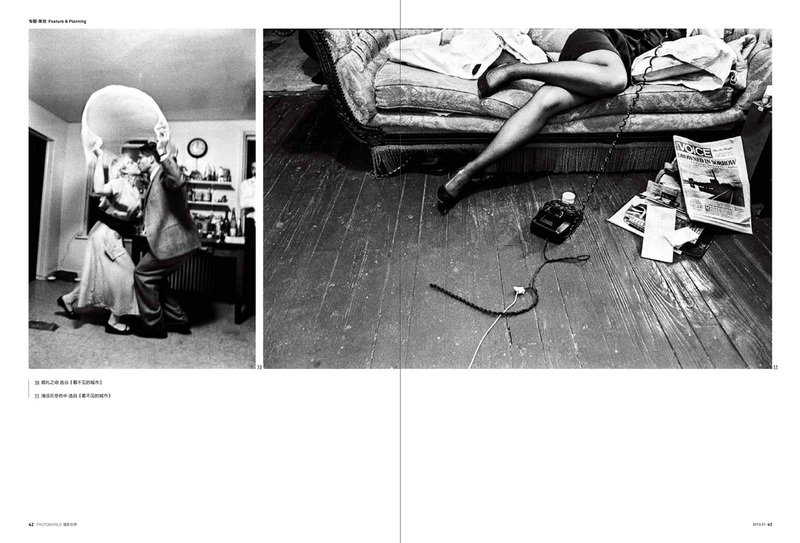 KS: Take a look at Ken Schles: Invisible City, A Digital Resource and let me know what you think. As for the future, I think I have to take every possibility into consideration. X: If a young photographer wants to publish his/her book in ibook way, do you have any suggestion or instruction? KS: Go for it. Make it the best you can. 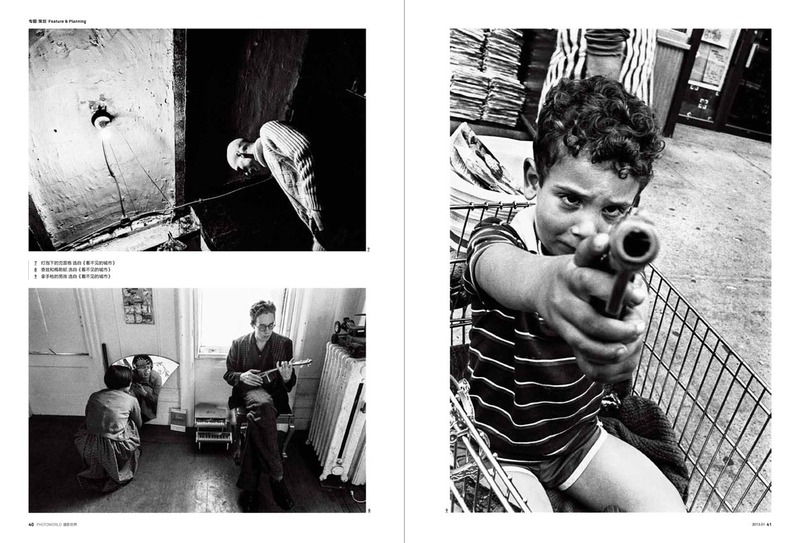 Download Ken Schles: Invisible City, A Digital Resource (enhanced pdf or iBook version). This interview/blog-entry also ran on the FOAM Blog (NL).